What Does the Last Name Richter Mean? The Richter surname means one who was "Lord's administrator of a village," an occupational surname derived from the Middle High German rihtære, meaning "judge," in turn derived from the Middle High German rihten, meaning "to make right." This term was frequently used in eastern Germany, where the surname is still most common today, to indicate the head of a village, often a hereditary position. RICHTER is the 14th most common German surname. Where is the RICHTER Surname Most Common? The Richter surname today is most prevalent in Germany, according to surname distribution from Forebears, where it ranks as the 12th most common surname in the country. It is also fairly common in Austria, where it ranks 63rd. According to WorldNames PublicProfiler, Richter is extremely common in northeastern Germany, especially in Sachsen, but also in Brandenburg, Sachsen-Anhalt and Berlin. Data from Verwandt.de agrees, indicating that the largest number of people with the Richter surname in Germany live in Berlin, followed by Dresden, Leipzig, Hamburg, Munich, Chemnitz, Region Hannover, Elbe-Eister, Sächsische Schweiz and Freiberg. 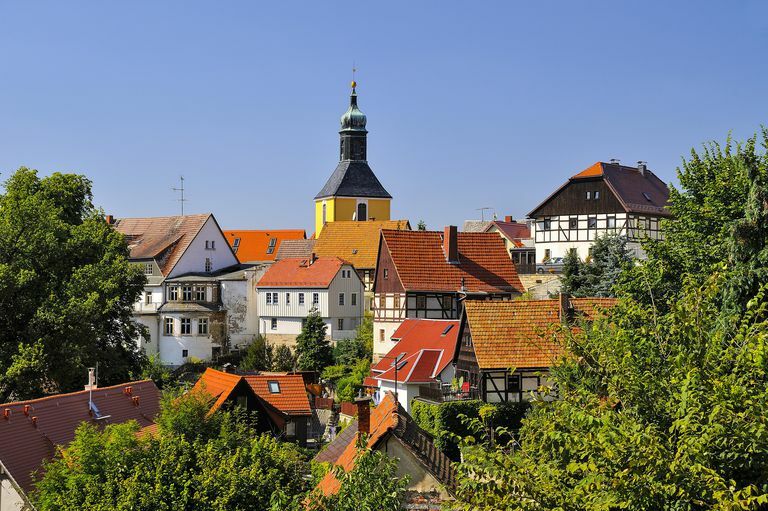 Learn how to trace your German roots back to the old country step by step, from locating your ancestor's German hometown to accessing records in Germany. Contrary to what you may hear, there is no such thing as a Richter family crest or coat of arms for the Richter surname. Coats of arms are granted to individuals, not families, and may rightfully be used only by the uninterrupted male line descendants of the person to whom the coat of arms was originally granted. Search this popular genealogy forum for the Richter surname to find others who might be researching your ancestors, or post your own Richter query. Explore over 11 million results from digitized historical records and lineage-linked family trees related to the Richter surname on this free website hosted by the Church of Jesus Christ of Latter-day Saints. RootsWeb hosts several free mailing lists for researchers of the Richter surname. Explore free databases and genealogy links for the last name Richter. GeneaNet includes archival records, family trees, and other resources for individuals with the Richter surname, with a concentration on records and families from France and other European countries. Browse genealogy records and links to genealogical and historical records for individuals with the Richter surname from the website of Genealogy Today.